It’s almost 6 p.m. on Monday evening in Sonora, and people are gathering at the high school football stadium. The scene looks pretty normal for a weeknight at Bronco Stadium: moms and dads in the stands, lots people dressed in red, the school’s color, and little kids running underneath the bleachers. But they’re not here for a football game. They’re here to regroup after a flood the likes of which they’d never seen before. Early Friday afternoon, water started to spill over the draws that run through town. These are branches of the Devil’s River that are normally dry. But the area had received lots of rain this month, and the ground was saturated. Around 2 p.m,, water started to fill the streets of a neighborhood near the center of town. Art Fuentes is Sonora’s chief of police. “It was just so rapidly upon us that it was just unbelievable,” Fuentes says. Fuentes just bought a house in the neighborhood where most of the flooding occurred. 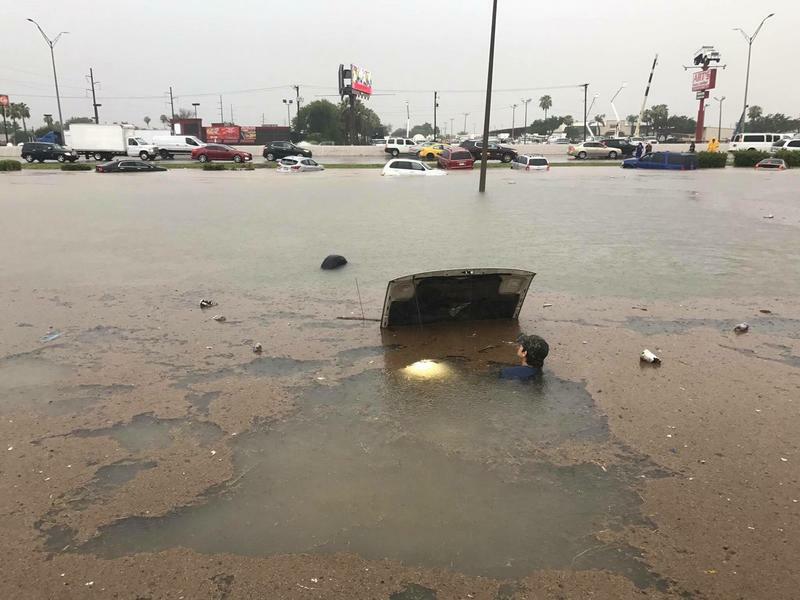 The water rose fast, and when he realized what was happening, he went home to get his dogs, Rosie and Bandit, out of the house, and then started going door-to-door to help his neighbors as the area filled with water. He and the other five officers on Sonora’s police force pulled dozens of people from their homes and out of harm’s way – with some help from private citizens, too. The flood caused no fatalities, but there was plenty of property damage – including at Fuentes’ home. His house had over two feet of water in it, and he and his wife lost most of their belongings. City officials estimate that the flood affected a little over 200 of Sonora’s homes – almost 15 percent of the town. 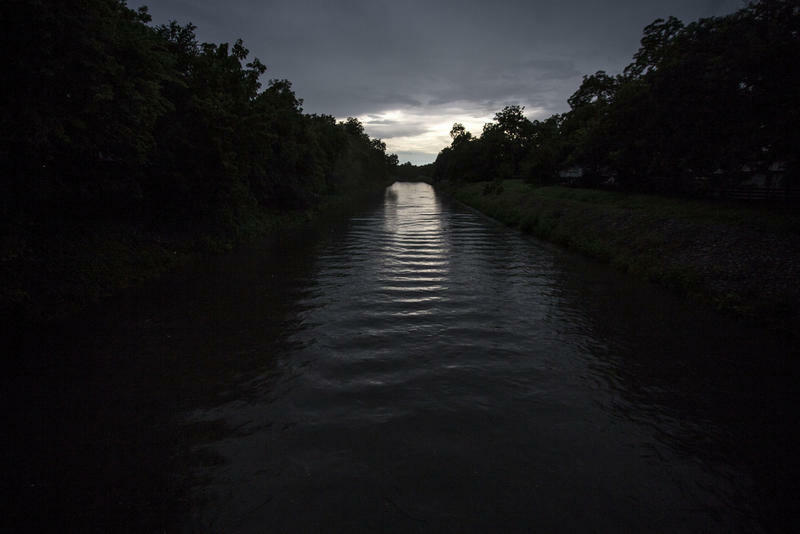 Many of those affected are low-income, and few had flood insurance. After all, no one remembers this area flooding ever before. Dora Mata lives in a pink split-level house with her 88-year-old mother Adelina. Adelina’s husband built the house in the ‘60s. Together, they raised eight children here, including Dora. Inside, box fans whir at full blast in an effort to dry out photographs and other mementos. Officials are telling people that anything the water touched that can’t be completely sanitized needs to be thrown away. The water that flowed through people’s homes had raw sewage in it, as well as chemicals that had been sprayed onto surrounding farms and ranches. Some houses inundated with water will need to be completely gutted, some will even be demolished, with the owners unlikely to return. Others will need less drastic repairs. Much of the flooring, drywall and insulation has already been ripped out in Mata’s house. But she plans to stay. There’s a steady stream of trailers leading out of Mata’s neighborhood, loaded with insulation, carpet, appliances and anything else the water ruined. They go to a field next to the Sutton County 4H and Civic Center, which has been converted into a makeshift dump for flood debris. The piles are enormous, some towering over the tractors volunteers are using to add to them. For many, it’s a difficult site. But inside the center, it’s a different story. The center’s been converted into a resource center for flood, thanks in large part to Tammy Fisher. She’s a natural fit for this kind of thing. “I’m a good coordinator, and I’m bossy, and I know everybody in town,” Fisher says. Fisher is a fifth-generation Sonoran who practices law here and works on her family’s ranch. She set up shop at the civic center on Saturday morning, and has spent almost every hour there since then. Volunteers there connect victims with resources, cook meals for hundreds, and help distribute donations. According to Fisher, what those folks really need now are hands to help rebuild, and cash. It’s unclear whether the town will qualify for any federal assistance, but Gov. Greg Abbott signed a disaster declaration for Sonora on Monday, which will give the area access to state resources. The San Angelo Area Foundation has set up a fund to finance repairs. That will help. But it will take before things get back to normal. After areas of Williamson County received more than six inches of rain overnight, the South Fork San Gabriel River in Georgetown has reached moderate flood stage. 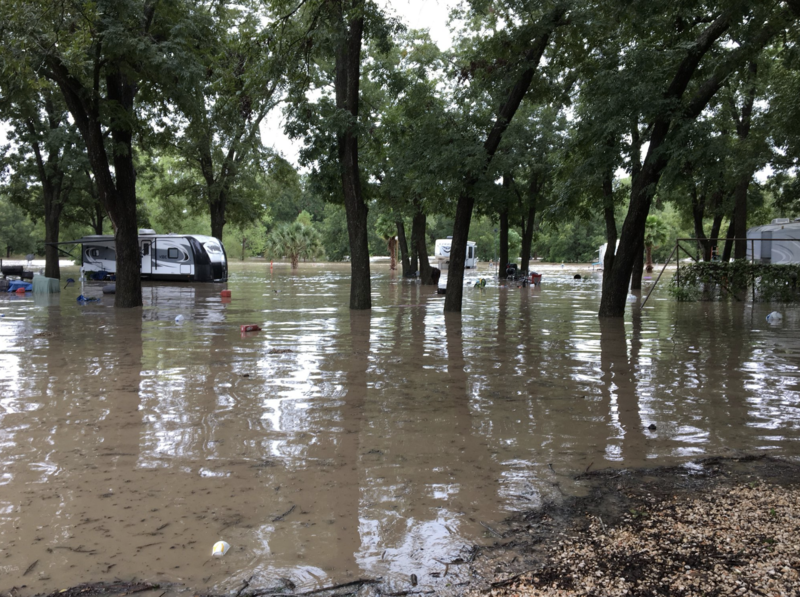 That prompted officials to evacuate some people living along the river including in the lower level of the Shady River RV Resort off East State Highway 29.